PARIS, -- The French presidency just announced that Egypt will acquire the two Mistral LHDs originally intended for Russia. "President of the French Republic met with the President Abdel Fattah Al Sissi. 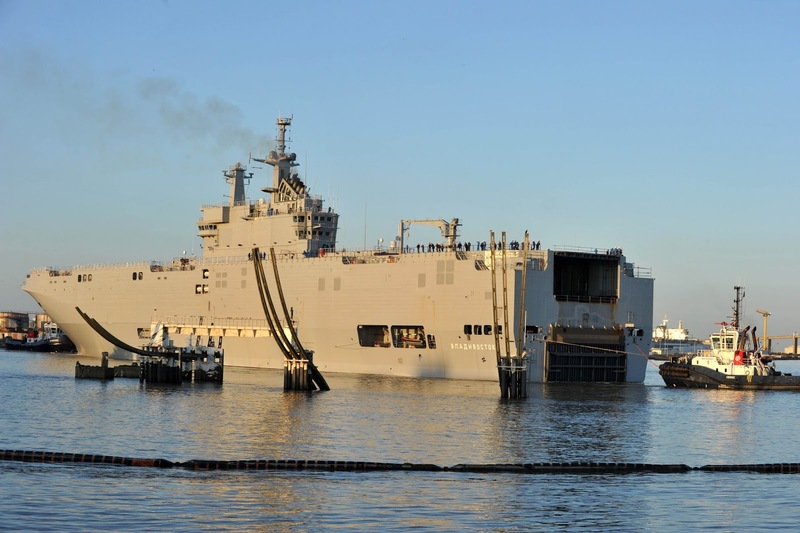 They agreed on the principle and terms of the purchase by Egypt of two Mistral class amphibious vessels" according to the official statement of the French presidency. In early August 2015, France and Russia Reached an Agreement for the Non Delivery of the 2 Mistral Class LHDs originally ordered in June 2011. The Egyptian Navy just took delivery a FREMM Frigate from French shipyard DCNS. Moreover, a year ago, DCNS won a contract to supply the Egyptian Navy with four Gowind corvettes. Slated in 2017, the delivery of the first corvette, which is developed and realized at the DCNS Shipyard in Lorient, will occur less than four years after the signature of the contract. DCNS started cutting metal for the very first unit on April 16th 2015. Mistral class vessels are capable of carrying 16 helicopters, four landing craft, 70 armored vehicles and 450 soldiers, and are expected to be deployed with Russia’s Pacific Fleet. The warship Vladivostok sets off in March from the STX France shipyard in Saint-Nazaire, western France, on a shakedown cruise. 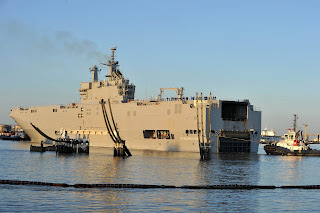 The Mistral class LHD amphibious vessel was ordered by Russia.